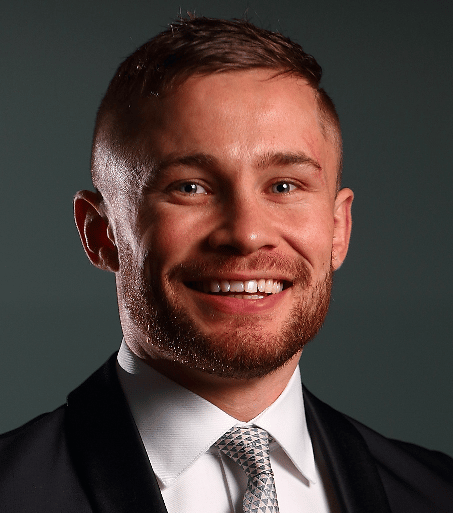 Carl “The Jackal” Frampton has proven himself one of this country’s leading professional boxers. Since turning pro in 2009, the Northern Irishman has quickly climbed the ranks, and is currently IBF and WBA World Champion in the Super-Bantamweight division. An extremely down to earth and humble guy from a troubled area of Belfast, Carl started boxing at the age of 9 and was spotted at an early age by Irish boxing legend Barry McGuigan, who has since guided and mentored him through his professional career. Alongside steady support from his trainer Shane McGuigan the team behind him is an integral part of his success. He is now regarded as one of the most exciting boxers to watch in the ring, an aggressive fighter with destructive punching power, intelligence and speed. His entertaining style has garnered an intensely loyal and vocal following amongst boxing fans, and his status as a mainstream star continues to strengthen with strong media interest and live coverage of his last fight on ITV in the UK, CBS in the US, and coverage of his most recent fight live on Sky and Showtime in the States. Carl’s popularity stems not only from his success in the ring but also the strength of his community and family values. He is a prominent supporter of local charities and amongst others supports the Northern Ireland Hospice and is a vocal supporter of integrated education. Growing up on a community divide in a Belfast he is also well aware of the importance of choices, having seen first-hand the different routes that life can take you down. He is passionate about promoting opportunity for young people and supports Sport Changes Life Foundation, developing the social skills and career prospects of young people through sport. He can speak from the heart on the importance of making the right decisions, seeking the support of mentors and being single minded in the pursuit of your goals. In the 2016 New Year Honours Carl was awarded an MBE for services to boxing and the community.